Over the last few weeks, there’s been a lot of discussion online in response to two talks at Learning2 Asia. The first, Breaking Traditional Moulds by @sherrattsam is a call for schools to reclaim their rightful place as a force social change society. The second, What Gets Cut, by @wayfaringpath argues that we need to start looking at what we need to abandon in schools to put us on the path. Both talks are important provocations. However I’d argue that much like Ken Robertson’s seminal TED talk on schools as educators – educators will nod our heads in agreement and schools will go back to doing what they’ve always done. For a simple reason, demolition is so much easier in than construction. We spend an awful amount of time in education talking about what isn’t working and not much thinking about what needs to work. 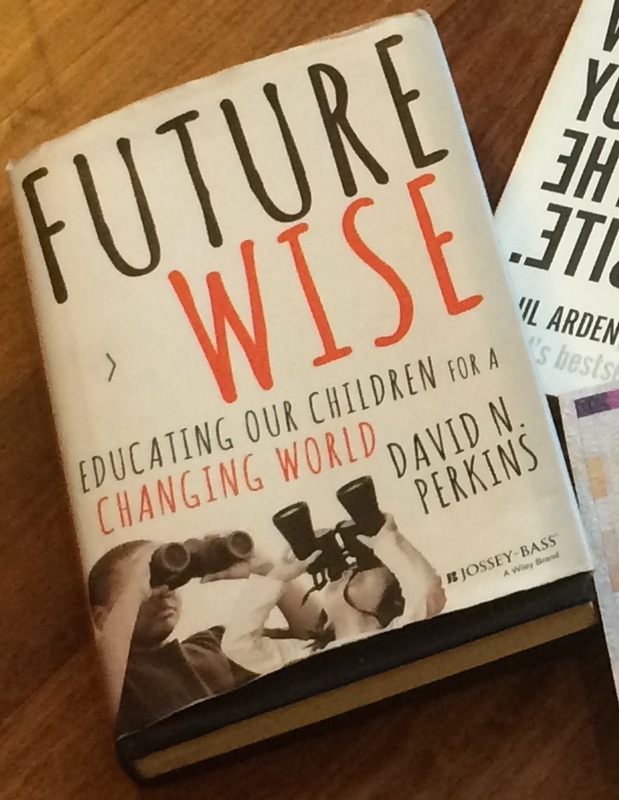 As if by design one item on my holiday reading list was Future Wise by Project Zero researcher David Perkins. Of course those who teach the PYP programme will argue we’re already supposed to be ‘looking beyond’ when we design our units of inquiry! One of the problems Perkins identifies is that the organisation of our schools is inherently hierarchal in nature offering both simplicity and a top-down control to keep order. He argues that schools need to look beyond the hierarchy to a networked approach where teachers and students are interacting between themselves, sources of information and different disciplines. Throughout the book Perkins offers questions for the reader to ponder or challenge their own assumptions about learning. His book is also peppered with classroom examples and also gives suggestions on how to tweak learning experiences and existing coverage of existing content to make learning more meaningful for learners. As a result, Future Wise is meaningful both to those charged with designing curriculum and teachers who have the responsibility of making it happen.